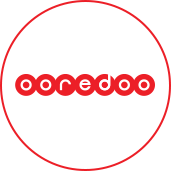 Operating in 10 markets and with nearly 140 million customers, Ooredoo is a global telecom operator and one of the fastest growing telecom groups in the world. iHorizons has been working for a number of years with Ooredoo Qatar and Ooredoo Algeria to help design, develop, deploy and manage their digital customer service platforms, including responsive websites, mobile apps, eShops, TV apps, and retail touch screen systems. Those channels are tightly integrated with various back-end systems to achieve highly responsive, real time service interactions. This results in unmatched customer experiences and high levels of engagement. 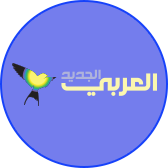 For the past 20 years, iHorizons has been working with Al Jazeera, the largest and most popular Arabic news network, to continue to make its Arabic website the leading news source on the Internet. Our work with them includes frequent UX redesigns, continuous content management system feature enhancement, and 24/7 infrastructure operations management. 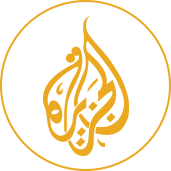 With tens of millions of unique visitors relying on Al Jazeera Net to get their daily and breaking news, this is one of the network’s most mission-critical operations, and they continue to rely on iHorizons in developing and supporting the technology that powers the largest Arabic website in the world. 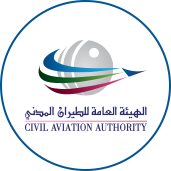 The government agency responsible for maintaining a safe, effective and sustainable civil aviation system in Qatar tasks iHorizons to design and implement its new digital service platform. This includes developing their service-rich web portal and mobile app. B2B services on the portal include Travel Agencies and Air Cargo Agencies directories with self services, Aviation Security Reporting, and Aeronautical Information Management. The site also provides rich aviation business content like Aviation Laws, Airport Regulations and Air Safety Forms. iHorizons has also recently signed with the Meteorology Department to develop a new weather mobile app rich with interactive and personalized services. 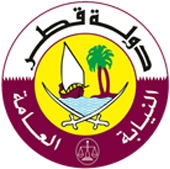 iHorizons engages with Qatar Public Prosecution to develop a custom content system that accommodates all Qatari laws, judicial cases and legislation, presented through a desktop app, a web portal and a mobile app. The system, named "Qanoni, The National Legislation and Judicial Sentences System" enables intelligent data structures that understands legal relations between various types of contents from chronological and precedence perspectives. The two parties continue to engage over the years to maintain, support and enhance this unique solution. The leading daily Arabic newspaper that is published out of London relies on iHorizons to enable a full-cycle digital news management system that handles content for print, web and mobile publishing. iHorizons handles all technology infrastructure needs of the newspaper to ensure fault-tolerant timely publishing, while enabling the editorial staff to focus on creating best quality news content.